Author Luke Herzog holding his latest book, “Griffin Blade and The Bronze Finger”. Fourteen year old Luke Herzog rummages through a night stand in the bedroom of his Pacific Grove home. He holds up three notebooks filled in long hand. They are the first draft of a book he began at age nine and published when he was eleven. And that book wasn’t his first attempt at writing. Most of his writing was done in a bedroom he shares with his younger brother. The walls are covered with medieval fantasy art, except for one wall that has a large case filled with books. Clearly, it’s a room not only for sleeping but also for inspiration. “It is a very nerdy room. I have maps everywhere, and books. I usually write on my bed right here. I also have lots of fantasy books, sci-Fi books to choose from if I ever want to read,” says Herzog. 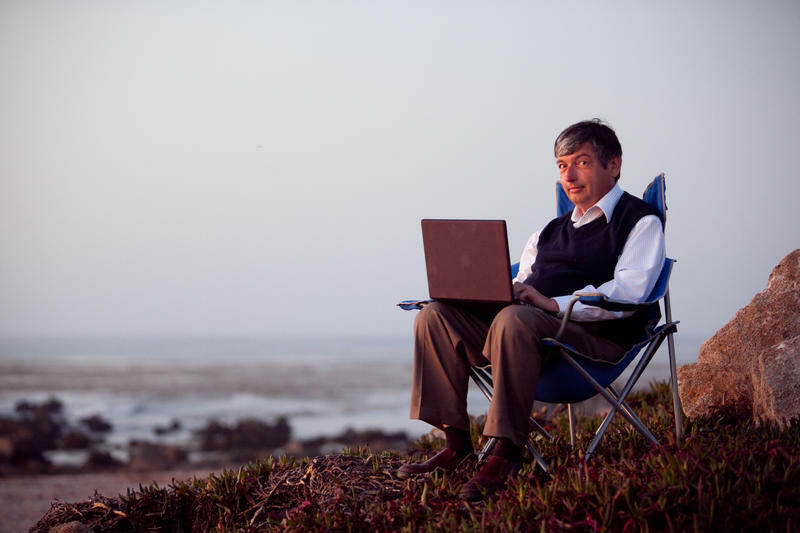 He has published two books through Why Not Books, his family’s publishing business. His latest is “Griffin Blade and the Bronze Finger”. It epic journey through a medieval fantasy world filled with elves, other imaginary characters. He says when writing medieval fantasy stories it actually helps being a young writer. In many ways writing is a family affair for the Herzogs. All family members help in the process in including his father, Brad Herzog, who is also an author. 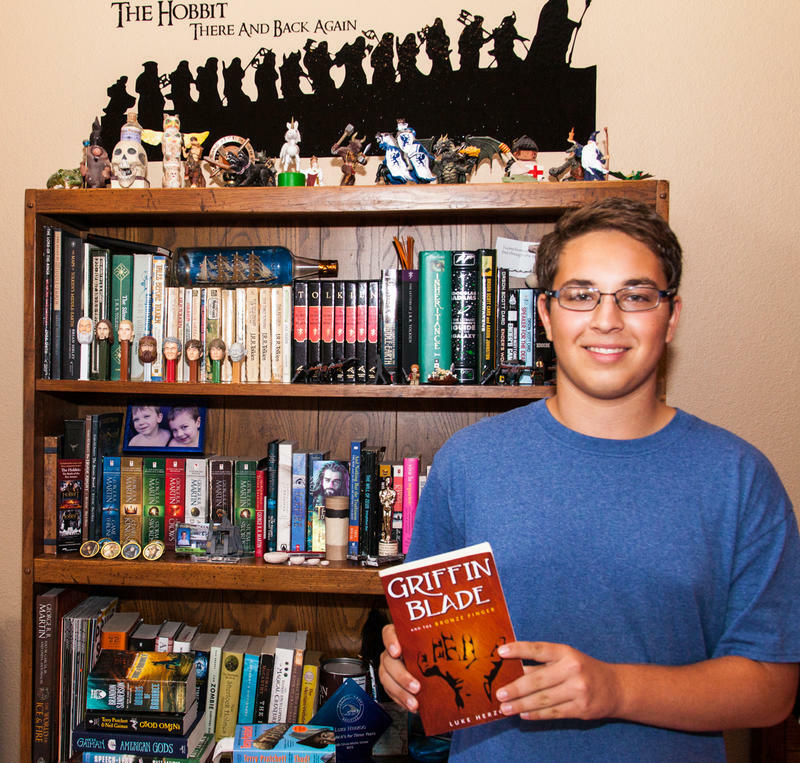 The young author is in a freshman at Pacific Grove High School. He doesn’t know what he wants to do for a career, but he does know one thing. It has to include writing. “Griffin Blade and the Bronze Finger” is 301 pages and published by Why Not Books. It's available at Bookworks in Pacific Grove, Thinker Toys in Monterey and Carmel, and online at whynotbooks.com. 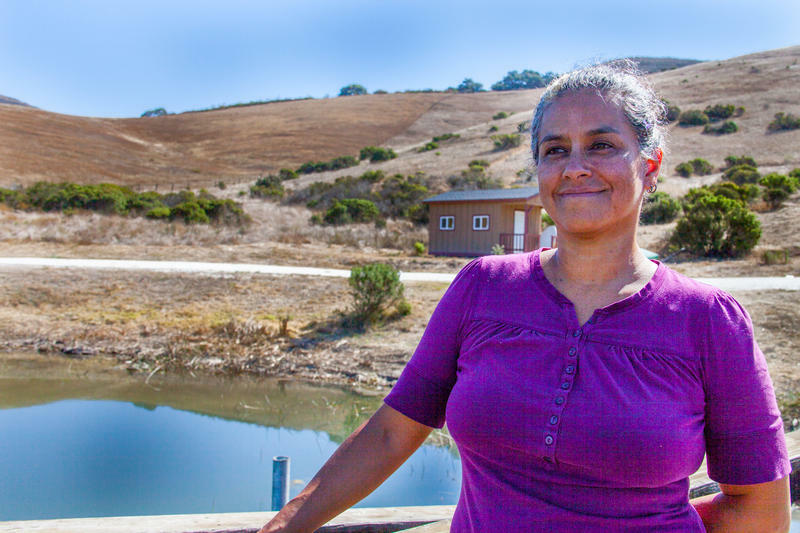 Journalist Claudia Melendez Salinas decided to write her first novel while covering a story for the Monterey Herald nine years ago. It was a period when the city of Salinas was having a difficult time financially and had to make some hard choices about what services to cut. “The libraries had just been closed. But they were also having issues with the community centers,” says Melendez Salinas. Ed Kilgore: Pacific Grove Author Talks About His Book "Election 2014"
Pacific Grove resident and political commentator Ed Kilgore has a new book that examines the 2014 mid-term election. It was an election in which the Republicans achieved a majority in the Senate and now control Congress. The first thing you notice about Ed Kilgore is his infectious laugh. His round gentle face, smooth southern drawl and easy manner stands in stark contrast to his frantic life. Every day he grinds out 12 essays for an online blog at the left of center Washington Monthly. It’s incredibly demanding.